Exposing a driver to the elements has a certain way of turning the simple act of driving into an engrossing experience. 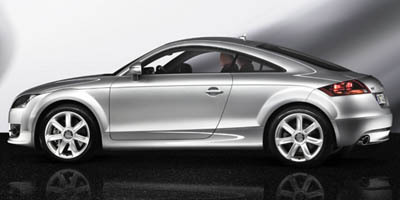 The wind howling in your ears, the turbo audibly pumping compressed air into the engine, the sound of the tires clattering over imperfections in the road, all of these things come alive from behind the wheel of the 2008 Audi TT Roadster. Audi’s redesign of its iconic roadster has only been on sale for around a year now, but with the proverbial taste of the original TT still fresh in our automotive mouths, comparisons to the old model still prove difficult to avoid. While the old front-wheel drive model harbored a tendency to falter when pushed hard, Audi has managed to pick up the pieces and bolt together an entirely new car that delivers a rewarding drive whether in front-wheel drive or all-wheel drive configuration. The end result is a TT roadster that is as fun to drive as it is to look at. The TT’s 2.0-liter turbocharged engine delivers ample power and plenty of torque. A 12-second soft-top roof deployment means you can activate it in traffic without fear of a stoplight changing green mid-transition. The high base model price and expensive options make the TT a costly proposition. Road noise at freeway speeds can be rather intrusive. Unlike the old 1.8T model, which felt slightly sluggish, the new TT roadster is properly fast thanks to a welcome hike in power. Unlike some turbocharged front-drivers, Audi has decided to run manageable amounts of power and torque through the forward wheels and as a result, the TT suffers minimal torque steer and wheelspin, thanks in part to a clever traction control system. Switching the system off will have you tearing away from stoplights with a momentary harsh screech, after which the TT hooks up and makes rapid progress through the gears, sounding off each upshift (which can be paddle activated, if you so choose) with a pleasing turbocharged bark out of the raspy exhaust. The steering is quite light, but doesn’t lack on feedback; and understeer can be quelled by leaving the traction control on, but if you opt to run with it disabled you’d be advised to be somewhat judicious with the deployment of your right foot mid-corner. Equipped with optional Audi Magnetic Ride Suspension, our car competently carved its way through any back roads thrown at it, its brakes easily coping with the TT’s low mass and the engine’s turbocharged torque pulling it out of the corners with little difficulty. The TT’s power plant is familiar to anyone well versed in Volkswagen products, as it’s the same 2.0-liter turbocharged FSI direct injection unit found in the Audi A3 and A4, Volkswagen Golf and Volkswagen GTI, among others. As in its other Volkswagen Group applications, the 2.0-liter produces 200 horsepower and 207 lb-ft of torque. The front wheels are driven by Audi’s S tronic dual clutch transmission, which shifts through the gears with amazing speed. A 3.2-liter V-6 model with all-wheel drive is also available, and gives buyers a choice between either an S tronic auto or a conventional six-speed, three-pedal setup. Optioning out a TT can get expensive quickly, but the box most will want to tick is that which reads “Premium Package,â€ which adds a power folding top, Homelink integrated garage opener, a multifunction sport steering wheel, 10-way power sport heated seats, an auto-dimming rearview mirror and an in-dash six-disc CD changer, though the upgrade does weigh in at a hefty $3,050. If you’d like to add a sense of aggression to your TT, an Audi S Line Sports Pack is available which adds massive 19-inch wheels, an S Line steering wheel, black S Line sports seats and, of course, the requisite smattering of S Line badges. Tech geeks will be hard-pressed to avoid adding Audi’s Navigation Plus system and Magnetic Ride Suspension system. The navigation system is operated via Audi’s Multi-Media Interface setup (MMI), which uses a wheel and click interface similar to BMW’s iDrive, only comes across as infinitely more intuitive and focuses on minimal driver distraction. Audi’s Magnetic Ride Suspension dynamically adjusts the stiffness of the shocks through use of a clever magnetic fluid, which changes its density – and thus the stiffness of the shocks – when an electrical charge is sent through it. If it sounds impressive, just wait until you try it. As mentioned, the automatic roof can deploy in an incredibly brief 12 seconds at road speeds up to 20 miles per hour. The low displacement of the TT’s engine yields solid fuel economy, even if the turbo does make it a bit more fuel hungry than the average 2.0-liter. It returns 22 mpg in the city and 29 mpg on the highway, achieving a ULEV-2 rating. Even with the top up, the interior of the TT doesn’t feel cramped, and tall drivers will find plenty of legroom. The dash is dominated by a digital screen, which aside from displaying the navigation map, uses the MMI interface to control the stereo and various car settings. The TT’s front-end is dominated by its large front grille and large headlight lenses which sweep into the slightly flared front fenders. Being a roadster, it’s especially attractive with the top down, and the rear’s twin tailpipe setup gives the TT a sense of aggression lacking from its competition. With a starting MSRP of $36,800, the TT goes straight up against the six-cylinder BMW Z4 3.0i and Nissan 350Z roadster, and is undercut by BMW’s new 128i convertible. Audi’s position in the segment is further hampered by its expensive options, which can easily see even the base 2.0T’s price near $50,000, an ailment also shared by both the BMW roadsters. When the TT made its debut a decade ago, it brought with it an aura of character and design that proved difficult for any other car to match, though unfortunately the front-wheel drive model’s dynamics left something to be desired. Amazingly, Audi has managed to retain the originality of the outgoing model’s design and infused it with dynamics to match. In short, the tortoise has become the hare.